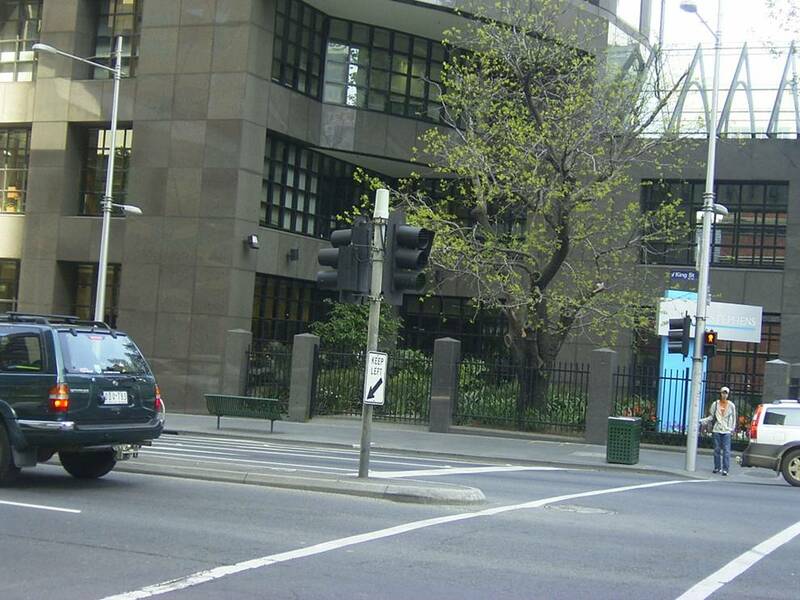 The vast majority of people in Port Phillip during Judge Willis’ time arrived there by boat. It was possible to travel overland, but at this stage it was easier and quicker to come by boat. Steamships plied between Melbourne and Geelong, Queenscliff and Williamstown, and the shipping columns of the newspapers record the to-ing and fro-ing between Launceston, Hobart, Corner Inlet, Western Port, Portland Bay, Port Fairy and Sydney as well as London. 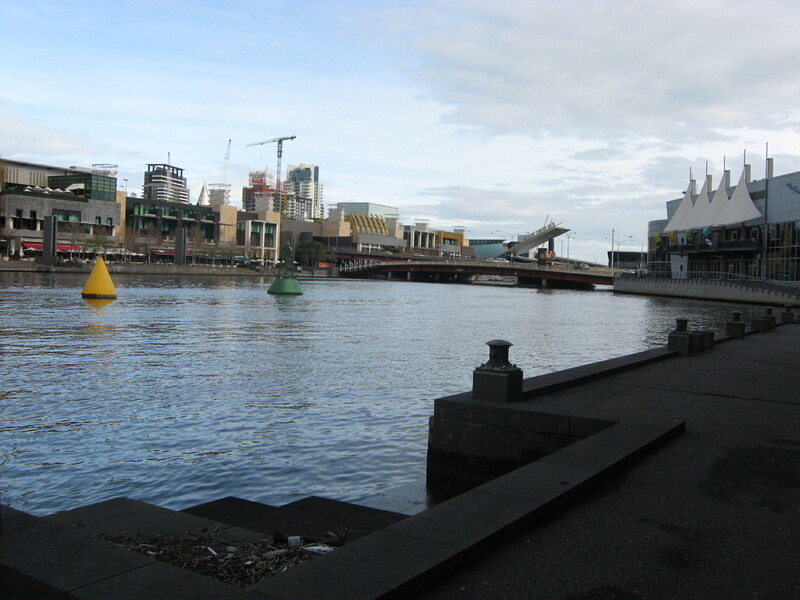 An underwater bar at the mouth of the Yarra prevented large ships from sailing up to the centre of settlement eight miles away. 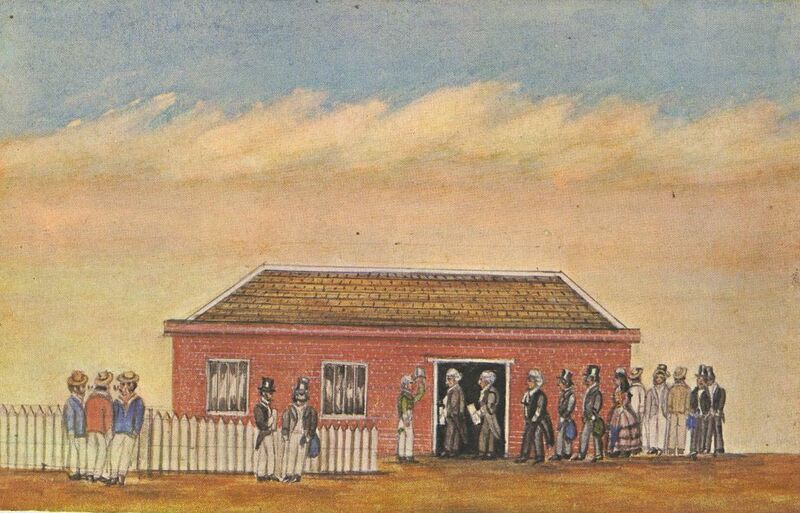 Ships had to anchor in Hobsons Bay and goods and passengers came ashore at Port Melbourne. 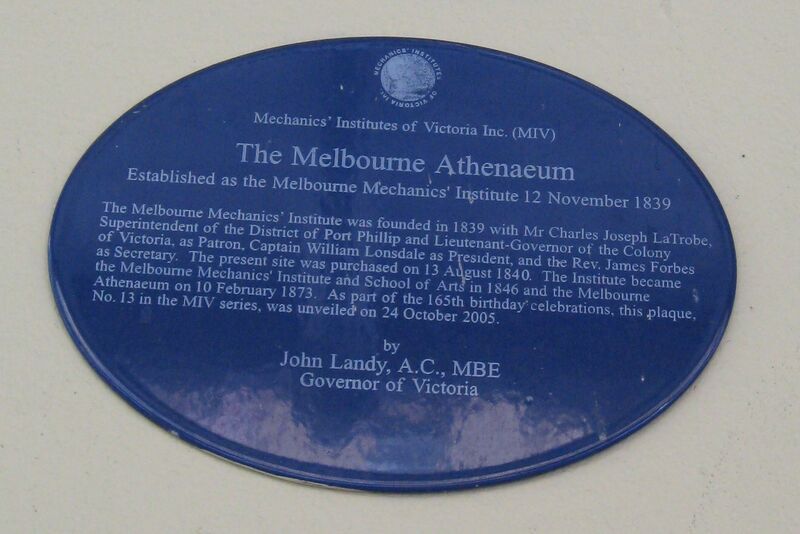 But how then to get from Port Melbourne to Melbourne itself? 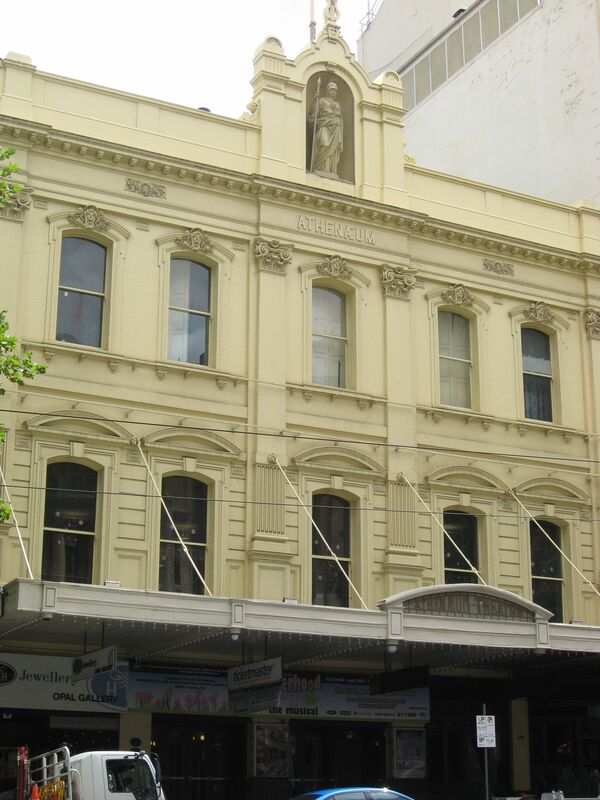 You could transfer onto a lighter or steamship to take you up the Yarra (at an exorbitant price), or you could take a carriage from the enterprising Mr Liardet’s hotel. No wonder the Sandridge line was first significant railway in Australia, opened by the Melbourne and Hobson’s Bay Railway Company in 1853 at the height of the gold rush. But during Judge Willis’ time the wharf on the Yarra was a bustling spot. Coles Wharf was constructed between William and Queen Street by George Ward Cole (who later married into the McCrae family)in 1841 along the banks of the Yarra by building on sunken ships’ hulls (www.portaustralia.com/port-melb.htm) . 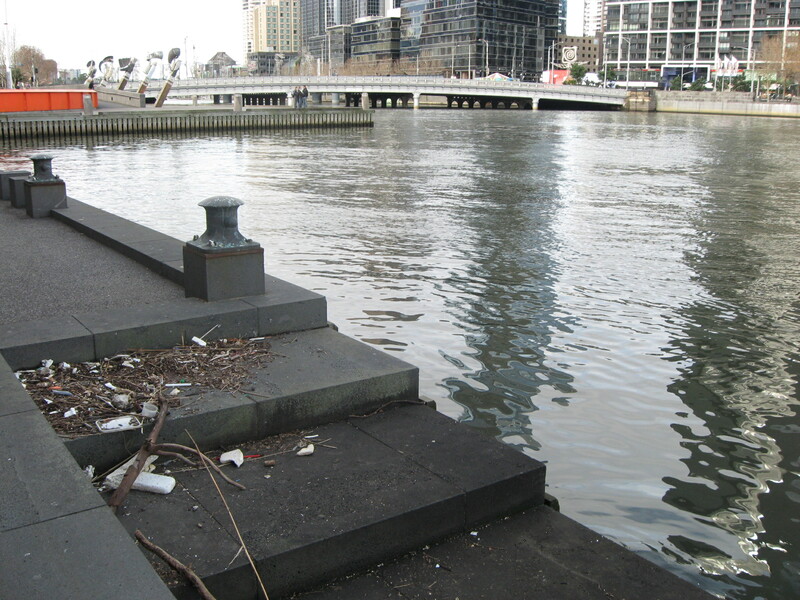 At the time, the Yarra was bisected by falls roughly at the bottom of Queen Street. Above the Falls was fresh water- crucial to the small village, and below the Falls was saltwater. The maintenance of the falls to separate freshwater from saltwater was of vital importance initially, even though the presence of this chain of rocks across the river prevented ships from traveling further upstream. Much time and attention was to maintaining the Falls but by 1880 they were finally removed as part of river engineering works. Here’s a description of Coles Wharf from The Times 22nd August 1853 that is perhaps a little less glowing than Liardet’s picture above. There are two landing-places, and the steamers stop at the worst, called Cole’s Wharf. An enormous amount of traffic has certainly been thrown suddenly upon this spot; but, considering the revenue derived from it by the proprietors, something might have been done to redeem it from being, as it is, a disgrace and scandal to the city. Goods are tumbled on to the bank, and the drays back up to them to be loaded through pools of black mud, in which they stand nearly axle-deep. Boxes, cases, and bags (no matter what their contents) may roll into the slush, and stay there soaking till called for. Expensive as horseflesh is, half the power of the animals is wasted in getting out of these pits and the deep ruts of the roadway, which a few loads of stones would fill and level. There is no shed to protect goods liable to be damaged by rain. Reckless indifference to everything but collecting the enormously high freights up the river, and the still higher rate of carriage to the city, seems to be the rule. Combined, these charges have frequently amounted to more, for a distance of six or seven miles, than the freight of the goods from England. The other landing-place, the Queen’s Wharf, is a little higher up the river, and here the accommodation is much superior, a proof that improving is not so impossible as represented. I stood where the wharf was today. It’s hard to picture it. The smell of chip oil is too strong as it wafts from Flinders Street Station and the roar of the traffic is a constant background noise. I’m sure that the air must have been saltier and tinged with wood smoke from the paddle steamer. Perhaps it sounded like Echuca, with the steam whistles, the shouts while loading and unloading goods and the sound of horses’ hooves in the streets behind. The sky would have seemed bigger with no high-rise towers, and the green of the bush would have crept up to the river banks in places, or formed a backdrop against the horizon. But today, like then, there is a stiff breeze that blows across from the water.